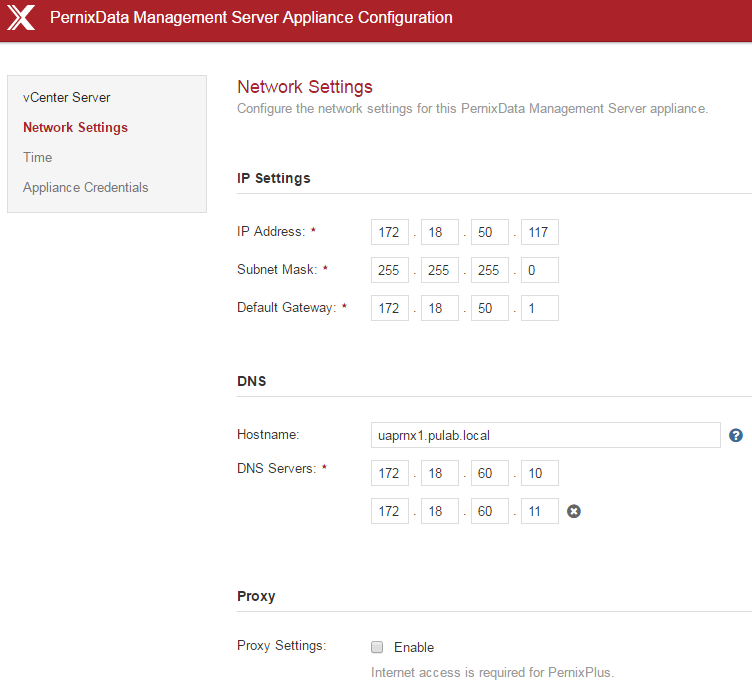 With the launch of PernixData FVP 3.5 and Architect 1.1 has been made, in addition to the Windows version, PernixData Management Server Appliance. This method of software distribution is a nod to the users, we will not need a license for Windows Server and MsSQL. Of course, previous version it is (and will continue) developed. Install and configure appliance version is virtually the same as the Windows version (with the exception of initial appliance startup). Deploy to the environment is a standard procedure, we only need to select the correct version. 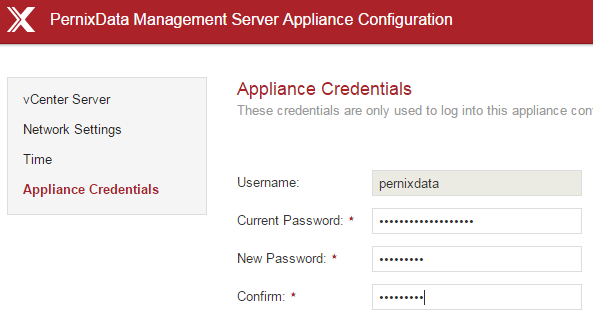 After starting the appliance, must be logged into (login: pernixdata password: pernixdataappliance) and accept the license. Set parameters of connecting to the vCenter (these settings can be changed later). 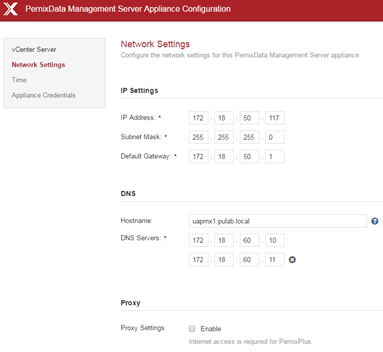 We check all the network settings, you can also optionally specify a proxy address. Set configuration for NTP, appliance default is not on time synchronization with the ESXi. In the last step, we change the password for the primary administrator. Configuration ready, we can move on to the console. 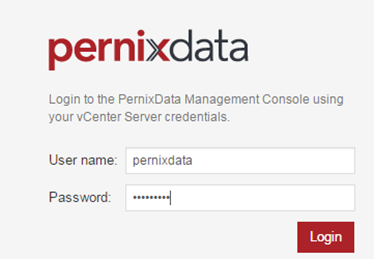 Login we can do as pernixdata, but we can also log in directly from the vCenter administrative login you connect to in the first step (ie, standard). – Is it possible to transfer the configuration from Windows version FVP/MsSQL to FVP/Appliance? – Is it possible to transfer the license from the Windows version of the FVP/MsSQL to FVP/Appliance? 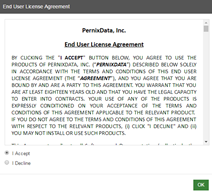 Answer: Yes, you should open a support case in PernixData (this also applies to Freedom Edition licenses) and ask for an increase in the activation count for the license (ie activate the offline again the same key). 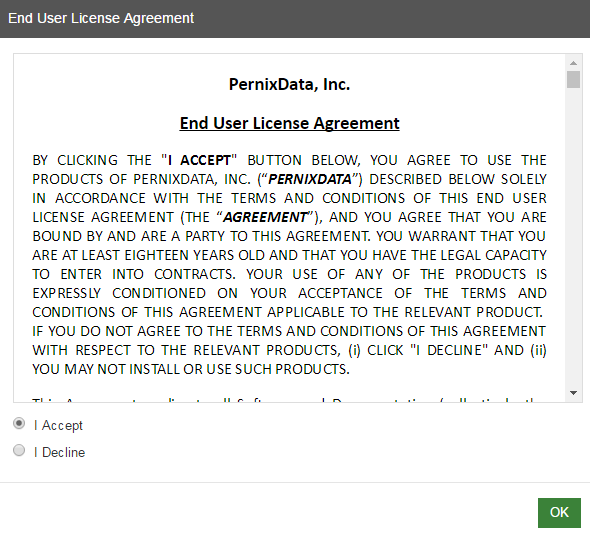 If you do not have an account in PernixData, send mail to “support @ pernixdata.com” (including a Freedom Edition version) with a request to create an account. – Is it possible to maintain different licenses for different clusters FVP on the same PernixData Management Server? Answer: License yes, but you can not connect two different vCenter. 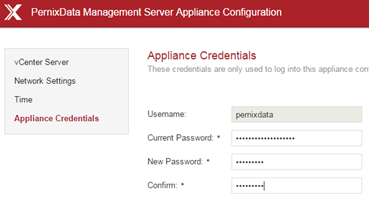 – Is it possible to change the SSL certification in PernixData Appliance? 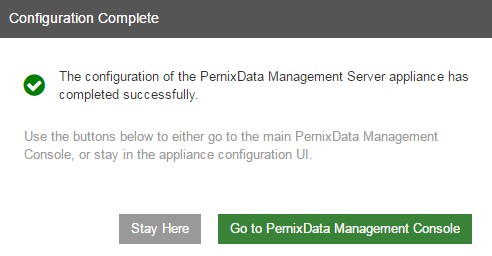 I will not conceal the fact that both my installations PernixData, production and test, I moved straight to PernixData Management Server Appliance, and I’m very happy.